Double Pedestal: Having a rectangular working surface resting on two pedestals or small cabinets of stacked drawers, with plinths around the bases. 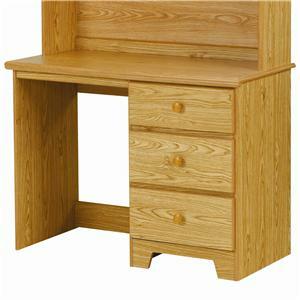 Often, there is also a central large drawer above the legs and knees of the user. 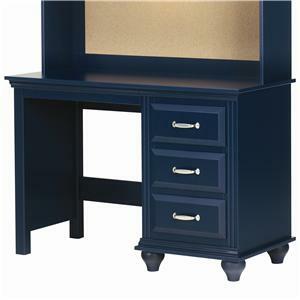 Single Pedestal: Having a rectangular working surface resting on one pedestal or small cabinets of stacked drawers, with plinths around the base. Often, there is also a large top drawer above the legs and knees of the user. 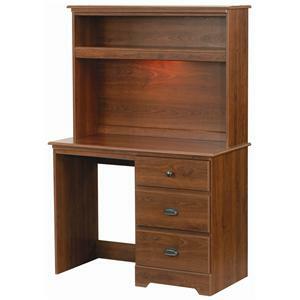 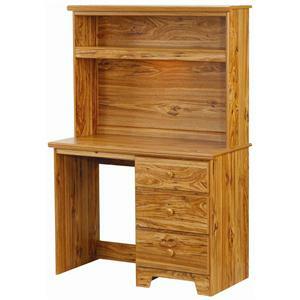 Corner Desk: Is a desk unit shaped or angled and 90 degrees which is designed to fit into a corner of two walls. Table Desk: A table or writing desk has a rectangular working surface on legs and usually doesn't include any storage capabilities. 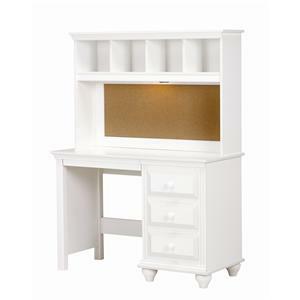 Kneehole Credenza: A secondary desk surface usually placed next to a wall with storage and an opening for your legs. Roll Top Desk: Has a working surface that is covered by wood slats that roll or slide through slots in the raised sides of the desk. 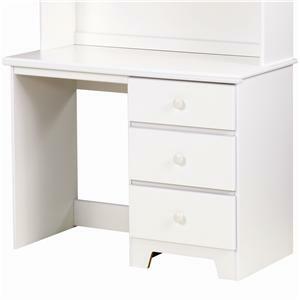 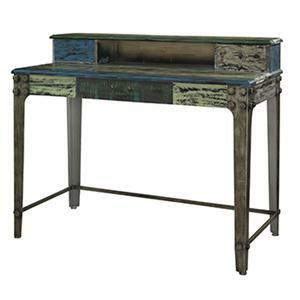 Desk+Hutch: Including a desk and a storage unit or hutch attached or resting on the working surface of the desk. The lower or desk unit may be a single or double pedestal and the hutch usually includes shelves, doors or both. 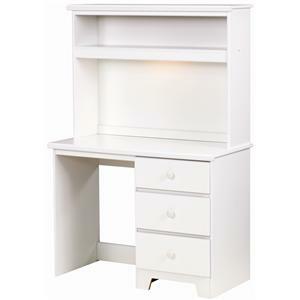 Secretary Desk: is made of a base of wide drawers topped by a desk with a hinged desktop surface, which is in turn topped by a bookcase usually closed with a pair of doors, often made of glass.